L-R: Steve Nicolson, Simon Greenall, Will Barton, Matthew Kelly, and Matt Sutton in TOAST. Photo by Oliver King. It seems to me that there really is much less to Richard Bean’s Toast than first meets the eye. And yet it is all for naught. The red shirt is nothing more than a red herring. When the oven breaks down and several of the men risk life and limb to put it right, some tragedy seems inevitable. But it’s not. No one dies; the oven is fixed; the men survive with nary a burn; Lance turns out to be mentally disturbed rather than sinister; and the men return to their cheese and fish paste sandwiches, their cigarettes, their sexual frustrations, and their twelve to sixteen hour days in the factory. And that’s it. Toast, Richard Bean’s first play, premiered at the Royal Court in 1999 and recently enjoyed a very successful revival in London and on tour throughout the UK. And it is only now, after a delay of seventeen years, that it is belatedly being given its US premiere at 59E59 Theaters on East 59thStreet in midtown Manhattan (with its highly acclaimed British cast intact) as part of that theater’s highly regarded Brits Off Broadway program. 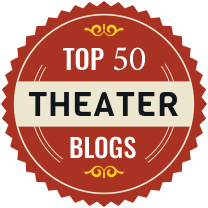 For the past several years, we have very much enjoyed the Brits Off Broadway programs staged annually at 59E59 Theaters. This year, however, we have been mildly disappointed by the first two plays in the 2016 program. For starters, we found Echoes, the initial play in this year’s program, to be rather wanting, despite outstanding performance by its co-stars, Filipa Braganca and Felicity Houlbrooke.. And now, having attended a performance of Toast, the second show in this year’s Brits Off Broadway program, we find that we’re experiencing a similar reaction: Toast’s seven man ensemble cast is truly outstanding, but as for the play itself, not so much.